ex. mget "key1" "key2" "key3"
localhost:6379> set "msg" "test message"
localhost:6379> set "nissan" "automobile company"
, _redis :: Snaplet RedisDB                   -- Added this! h <- nestSnaplet "" heist $ heistInit "templates"
-- you'll probably want to change this to a more robust auth backend. 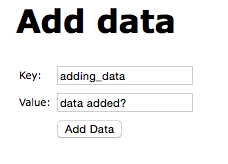 , ("/add_data", require auth handleAddData)       -- Added this! 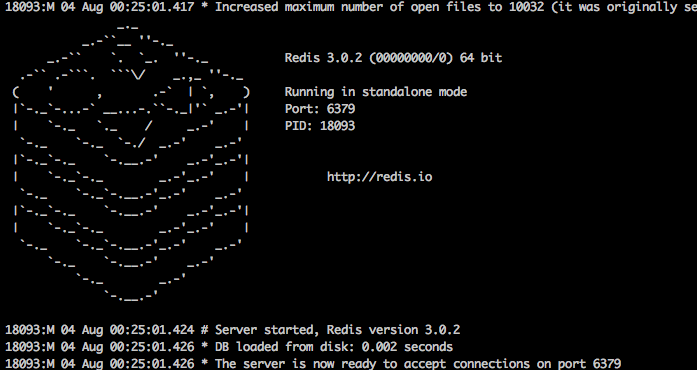 handleNotLoggedIn = writeBS "No User"
import qualified Database.Redis as R           -- Need to import Hedis! -- warnings allows quicker workflow. 1438695701.597308 [0 127.0.0.1:54792] "AUTH" "foobared"
1438695701.597800 [0 127.0.0.1:54792] "SET" "adding_data" "data added?" , ("/show_data", require auth handleShowData)      -- Added this! -- Assuming if there's key, there's value, whatever it is.